Mr. Owen is registered to practice before the United States Patent and Trademark Office. He is also admitted to the Federal Circuit Court of Appeals and the Utah Supreme Court. Prior to joining the firm, Mr. Owen served as a law clerk to the Honorable Randall R. Rader, Circuit Judge of the United States Court of Appeals for the Federal Circuit. His practice includes all facets of intellectual property law including the preparation and prosecution of trademark, patent and copyright applications in the United States and foreign countries and litigation. He counsels clients surrounding all aspects of trademark selection, clearance and enforcement, including domain name disputes, and provides representation in opposition and cancellation proceedings before the Trademark Trial & Appeal Board. He also represents clients seeking copyright registrations in the U.S. Copyright Office and in copyright infringement matters. Mr. Owen’s practice has included experience with a number of technologies including general mechanical systems, computer software/Internet, business methods, and medical devices. Mr. Owen also engages in the preparation of licensing, publishing, and other agreements related to intellectual property. Mr. Owen is experienced in drafting and negotiating domestic and international technology agreements, including e-commerce and multi-media licenses, co-branding, marketing, software development, and distribution agreements. Mr. Owen has been included on the list of The Best Lawyers in America in Litigation-Intellectual Property and Trademark Law. He has been selected for inclusion in Mountain States Super Lawyers (2008-2013, 2016-2018) in the category of Intellectual Property, and has been voted by his peers throughout the state as one of Utah’s “Legal Elite,” as published in Utah Business Magazine (2011, 2014-2019). Mr. Owen provides a full spectrum of trademark services to clients from the creation, searching, investigating, clearing, and selection of new trademarks to the registration and maintenance of trademarks in the U.S. and abroad. He counsels clients on the proper use of trademarks, protection of trademark rights, and enforcement strategies. Mr. Owen counsels clients on a wide range of trademark infringement matters involving passing off, reverse passing off, sponsorship confusion, the Federal Anti-Cybersquatting Consumer Protection Act, infringement involving metatags, keyword internet advertising, and initial interest confusion. His practice also involves proceedings in federal and state courts as well as before the U.S. Patent and Trademark Office Trademark Trial and Appeal Board and domain name disputes under the Uniform Dispute Resolution Policy. 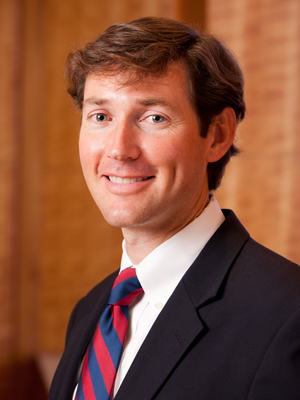 Mr. Owen handles a variety of legal matters in the licensing and publishing areas. His experience includes drafting and negotiating international and domestic licensing agreements involving patents, trademarks and copyrights. Mr. Owen’s licensing practice includes work in the publishing, software and e-commerce industries. Mr. Owen is experienced in securing and enforcing copyright registrations for literary and musical works, computer programs, pictoral and graphic works and as wells as drafting and negotiating transfers and licenses of copyrightable authorship. Mr. Owen is a registered patent attorney. He has experience prosecuting patents related to a number of technologies including general mechanical systems, computer software/Internet, business methods, electronic devices, nutritional products and medical devices. Mr. Owen focuses his litigation practice on patents, trademarks, copyrights and other complex areas of commercial litigation. His federal and state court practice focuses on trademark and copyright infringement, in addition to patent infringement cases. As a clerk at the United States Court of Appeals for the Federal Circuit, Mr. Owen worked on many patent cases involving a variety of technologies including software, pharmaceuticals, exercise equipment, and medical devices.